Let me share some exciting news about the studio! There will be another kid’s yoga class for children between the ages of 3-5. Kids yoga is about having fun and it centers more around the children themselves than postures or breath. These classes use yoga as a platform to introduce the importance of keeping healthy, calm, happy and active. We’ll use the surrounding world of nature and our environment to relay the same lessons and messages adults receive from yoga. Kids yoga offered at our studio uses the methodology of Gopala Amir Yaffe, founder of Rainbow Kids Yoga. So how can a child benefit from yoga? Let Rainbow kids Yoga count thy ways: improves strength and flexibility, increases self confidence and builds a positive self image, increases emotional strength, nourishes creativity, helps to balance body and mind, teaches self acceptance and generates positive self image, teaches self love, builds coordination and balance, expands self awareness and awareness of others, develops self discipline and self control, helps build concentration, improves posture, fortifies all bodily systems like nervous and circulatory, increases awareness of breath, it is non competitive, expands awareness of nature and environment, encourages teamwork and cooperation, teaches relaxation and reduces stress, teaches children to find inner peace, encourages compassion, kindness, and respect, and ultimately, yoga is so much fun and encourages smiles! Many studies also prove of yoga's effectiveness in helping children with such challenges like asthma, ADHD, eating disorders and past abuses. It is often taken for granted about how much stress a child encounters but if we try to see the world through their eyes, perhaps a little more light can be shed for us all. The busy pace of a child's life can find a quiet and joyful focus in yoga classes. Children indulge in discovering freedom, and yoga provides a safe space for them to do so. Kids classes are not about doing yoga postures in proper and guided alignment, it is about doing yoga in harmony with ourselves and each other...sure sounds like yoga to me. Rainbow Kids Yoga. Yoga for Kids and Families: 3 days intensive teacher training course. the (almost) complete toolbox. Gopala Amir Yaffe. www.yogajournal.com “The benefits of Yoga for kids.” Marsha Wenig. Hot hatha yoga studio in the heart of Sellwood. 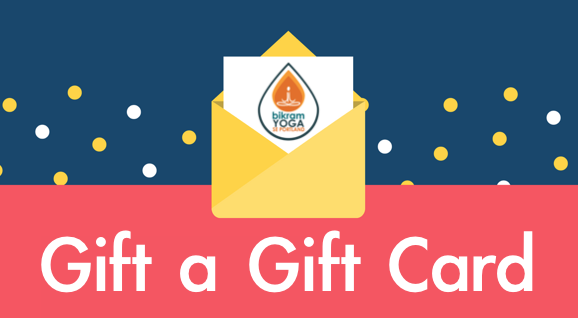 The only Bikram beginners yoga studio in Portland with radiant heat panels. Thank you! Are you new to the studio? Be sure to grab your $39 Introductory offer for local Portland area residents.